Презентация на тему: "Mass Media become a very important part of our life. 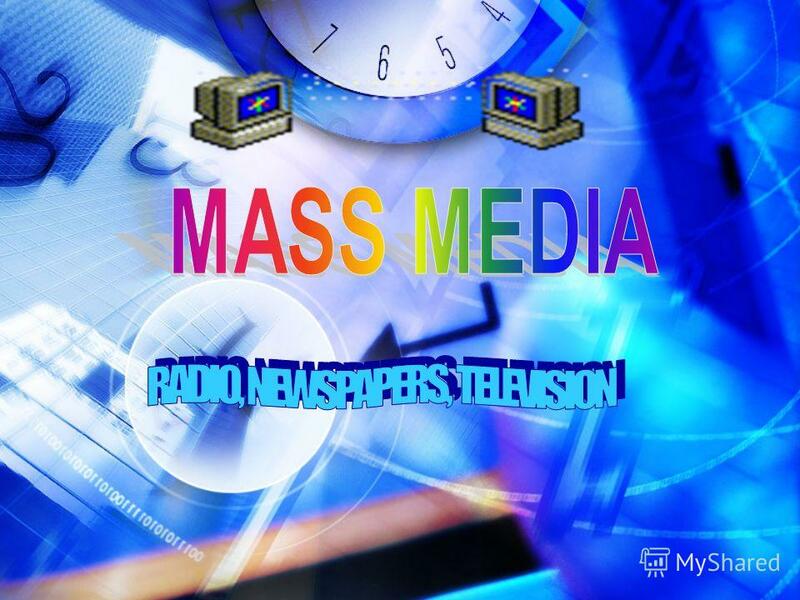 The press, the radio and television play a big role in the life of the society. They inform, educate.". Скачать бесплатно и без регистрации. 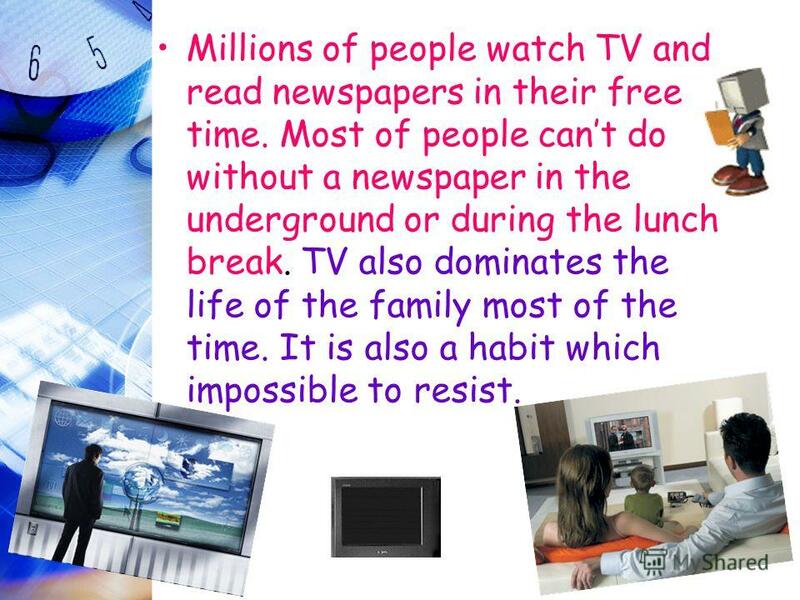 3 Millions of people watch TV and read newspapers in their free time. Most of people cant do without a newspaper in the underground or during the lunch break. TV also dominates the life of the family most of the time. It is also a habit which impossible to resist. 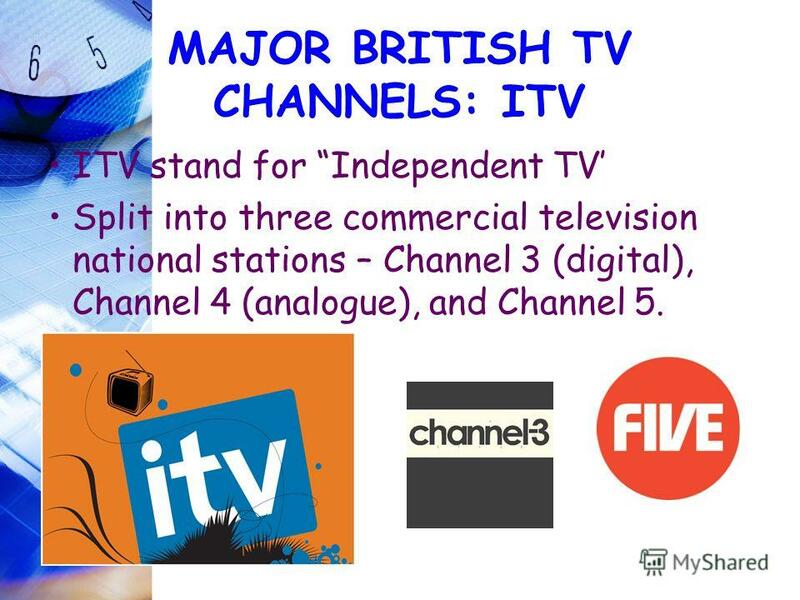 7 MAJOR BRITISH TV CHANNELS: ITV ITV stand for Independent TV Split into three commercial television national stations – Channel 3 (digital), Channel 4 (analogue), and Channel 5. Mass media in Great Britain The Press The British press P Press is very important for people in the UK since they read a lot. It is a so-called tradition. 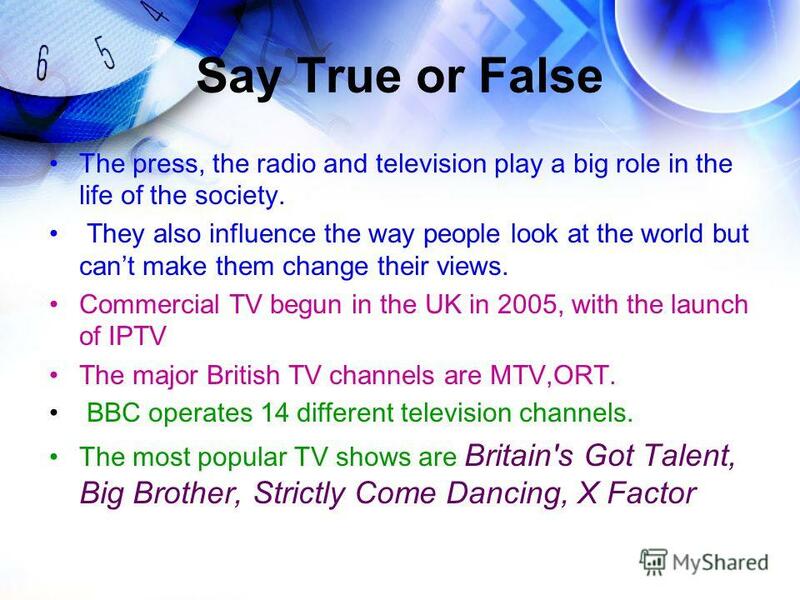 The mass media play an important part in our lives. Newspaper, radio and especially TV inform us of what is going on in this world and give us wonderful. 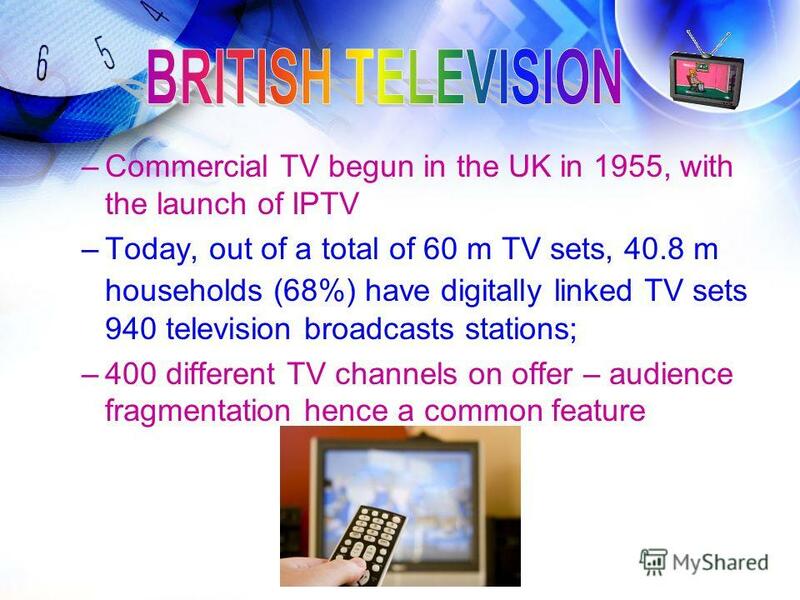 Television is the most popular entertainment in British home life today. Radio,TV аnd cinema In My Life Выполнила ученица 10 класса: Выполнила ученица 10 класса: Вендина Дарья Вендина Дарья. Made by Bokova Masha Form 8 «V». The press The radio Television. Television: bad or good ?. TV plays a great role in the life of a modern man. 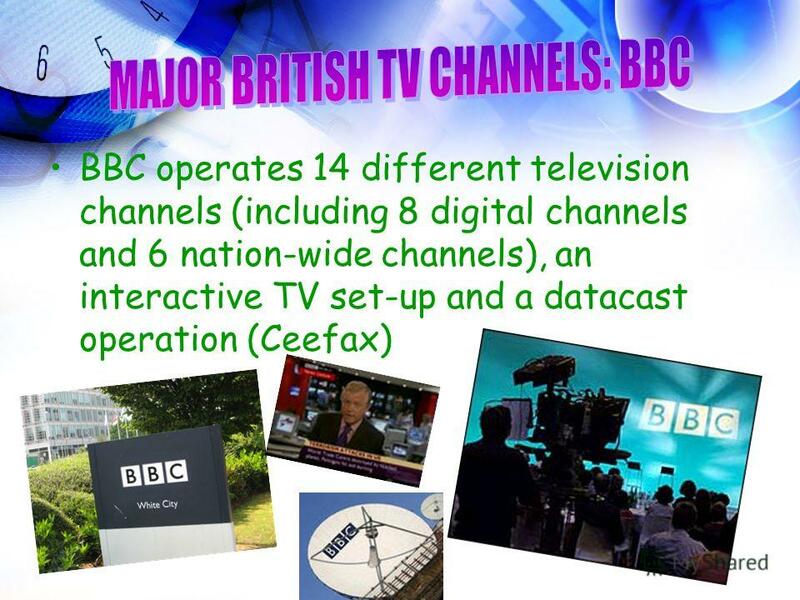 WHAT IS PUBLIC SERVICE BROADCASTING?. 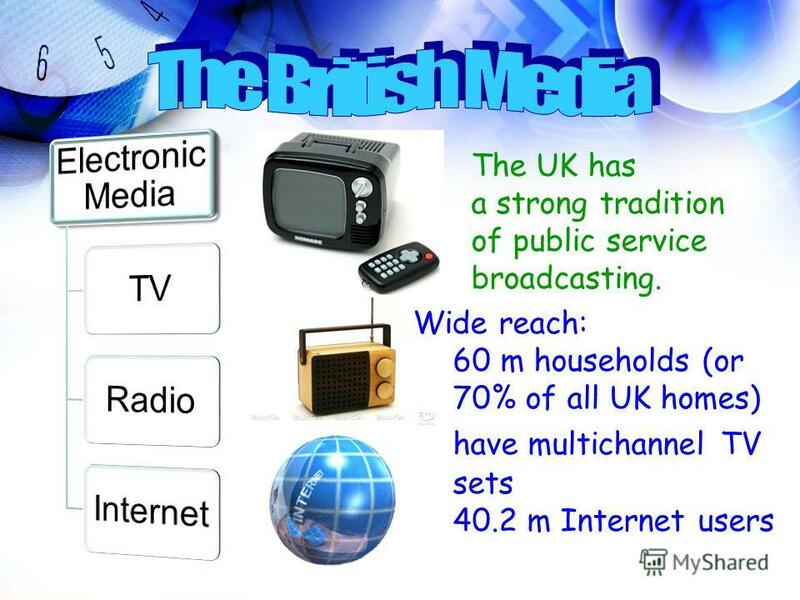 Public Service Broadcasting (PSB)is broadcasting made, financed and controlled by the public, for the public. It. The mass media. 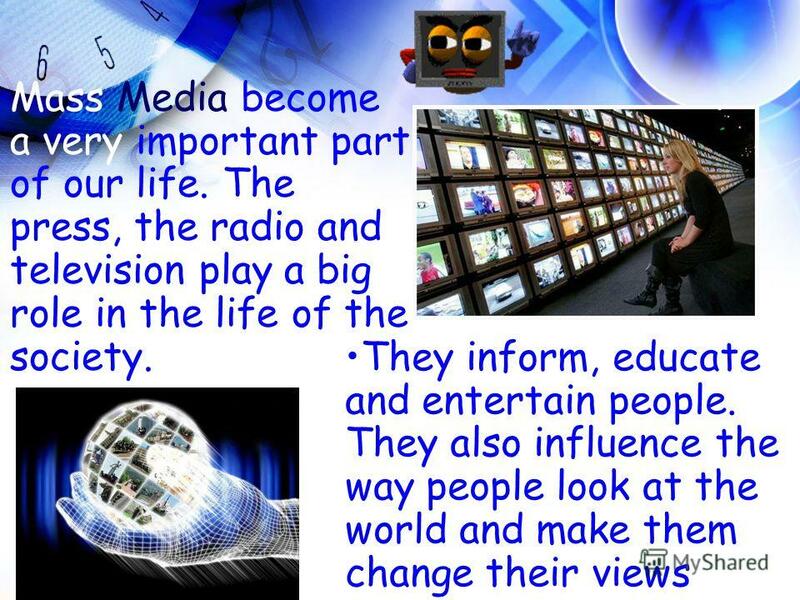 The role of the Media in our life inform educate entertain. How does media affect our lives? Elizaveta Michsherina 9 B. Influence of the technical progress on the reading activity of the British nation. Was done by the pupil of the 9 th form Simashko Valeriya Leader – Flintuk.